Sally Hansen Miracle Gel, Salon Effects Nail Stickers and Nail Polish Strips. About Them: It was in the late 1950s when Sally Hansen, together with her chemist husband, pioneered a nail protection formula called Hard As Nails. Touted as “the nail clinic in a bottle,” Hard As Nails established Sally Hansen as what is now the number one brand of nail care. 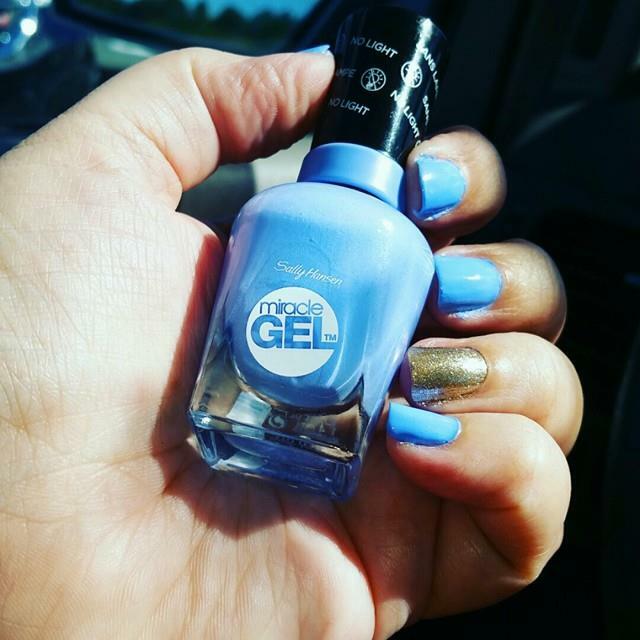 Sally Hansen offers affordable, easy to use products that you can use at home. My daughter and I were thrilled to be invited to test these absolutely fabulous products. We had no clue what colors would arrive, we were beyond thrilled with what we got. 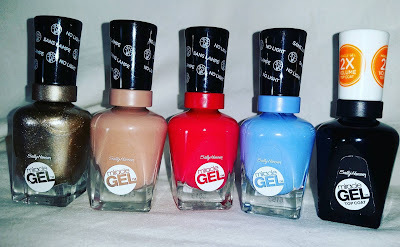 As you can see we received 4 Sally Hansen Miracle Gels and the Top Coat. 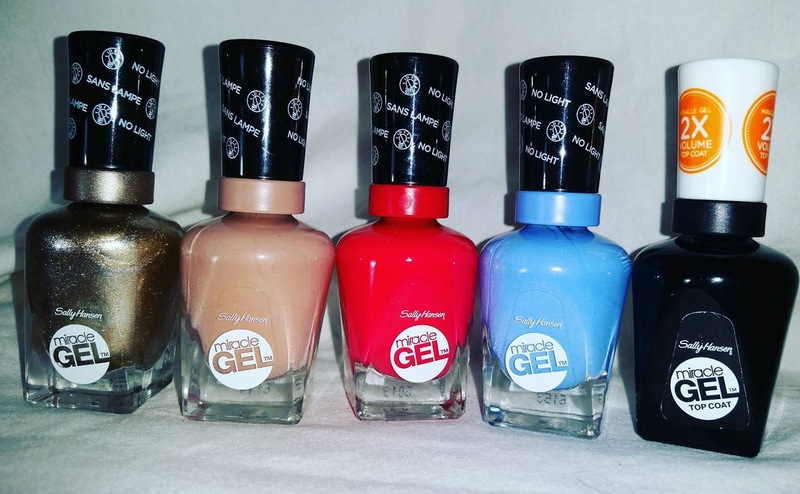 Sally Hansen Miracle Gels is currently available in 74 beautiful easy to apply colors. The directions are so easy to follow for a flawless finish. You apply 2 coats of the Miracle Gel Polish and 1 coat of the Top Coat. Best of all no light needed to setup the polish...it's quick dry and last so much longer than regular polish. It's easily removed with regular nail polish remover. 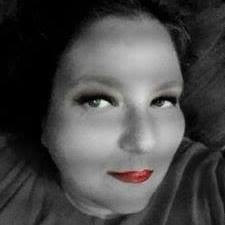 This color is Sugar Fix, it matches our school colors perfect. We received so many compliments about it. 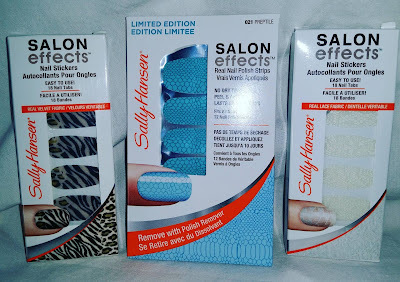 The Sally Hansen Salon Effects Nail Stickers and Nail Polish Strips are a fun way to add pizazz to your nails. Salon Effects Nail Stickers are available in 6 unique real fabric patterns, they are easy to apply and remove. Salon Effects Real Nail Polish Strips are available in 22 shades that can last up to 10 days! These wear like real nail polish because they are real polish without the dry time. I noticed some of these are limited editions, better stock up on your favorites while supplies last! 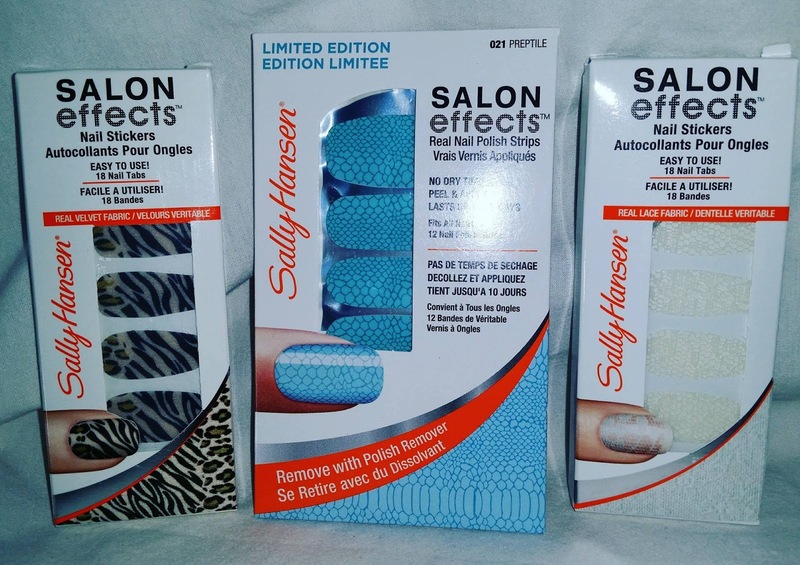 These and many more Sally Hansen products are available online or at a store near you.